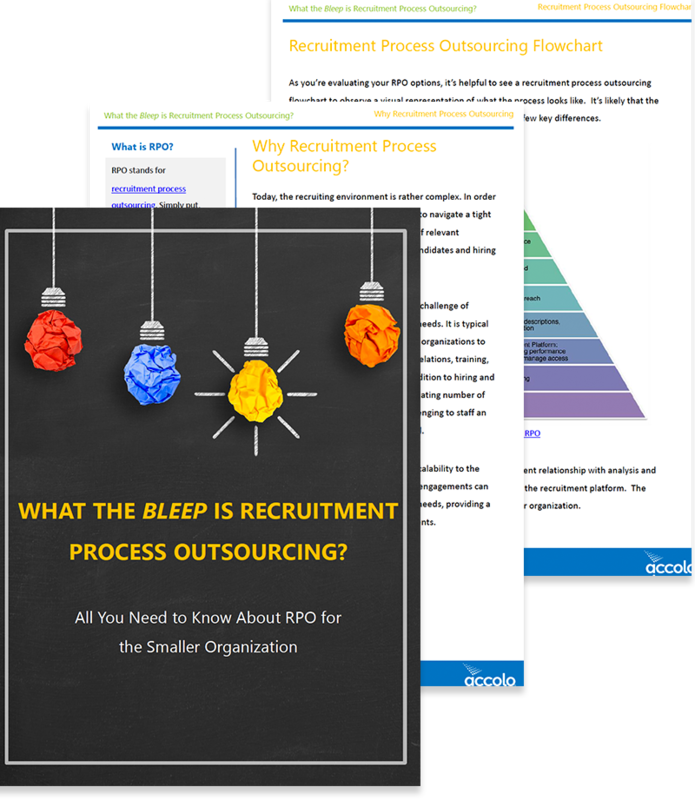 Paper: What the Bleep is Recruitment Process Outsourcing? WHAT THE BLEEP IS RECRUITMENT PROCESS OUTSOURCING? Today, recruitment process outsourcing has become a customizable talent acquisition solution for organizations — of all sizes — designed to improve employer branding, candidate and hiring manager experience, and to create a centralized talent pipeline, in addition to meeting hiring demands. According to market intelligence company, Aberdeen, 41% of companies who partner with an RPO provider for strategic labor sourcing and talent acquisition are 17% more likely than non-RPO users to find that their workforce is top quality. This 29-page paper introduces recruitment process outsourcing as a viable solution for small and mid-size organizations. In addition, you will gain a clear understanding of reasons to outsource your recruiting functions, criteria in selecting an RPO vendor, and implementation and change management issues you need to be aware of during the process. This paper is a comprehensive overview for anybody interested in exploring recruitment process outsourcing for their smaller organization. Download the free paper to get started.